02-25-2008, It has been awhile since I made an update to the site. 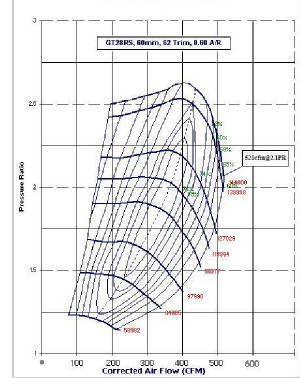 Added GT3071R compressor map and z32 engine flow plot for that turbo. 05-03-2006, completed the haltech setup, wiring and tuning section. 08-18-2005, the temp ECU forum is up. Hopefully we can have the original forum back up soon. 08-17-2005, the ecu forum is currently down. I'll post updates when it becomes available. Sorry for the inconvenience. 07-26-2005, base map for Haltech E11v2 added to ECU download page. 06-20-2005, more pictures added the project area. 07-12-2004, added compressor map and size info on GT28RS (JWT700BB). 07-06-2004, finished Haltech E11 harness. It's now ready to plug into the Z engine. 01-05-2004, added some fun pictures in my Z project area. 11-14-2003, if you click on the forum, you will find a new UBB style board. Don't get freaked out. Thanks to Jon Nierenburg who graciously offer to host this forum. I thought DNS switch over would have taken a day or two to take affect. Didn't think it switched over this quick. The new forum has much better appearance, no pop-up's, better organization, much more functionalities and better threads retention. So go over there, login and register. 06-16-2003, GT30R (GT3076R) compressor map and info added. 01-23-2003, added turbo selection area. 06-04-2002, turbo compressor maps added. 12-22-2000, turbo intro and size comparision added.